The VERTICAL TRAVELING COLUMN (VTC) 805G Vertical Machining Center with SMOOTH TECHNOLOGY features a powerful 50 Taper spindle and a fixed table, full traveling column design and fixed table for machining of extremely long and heavy workpieces. Or with an optional table partition, the long machine table can be transformed into two separate work areas for an overall reduction in cycle times. The special turret-style magazine has 10 four-tool-position units for tooling versatility with different workpiece types and reduced job setup times. 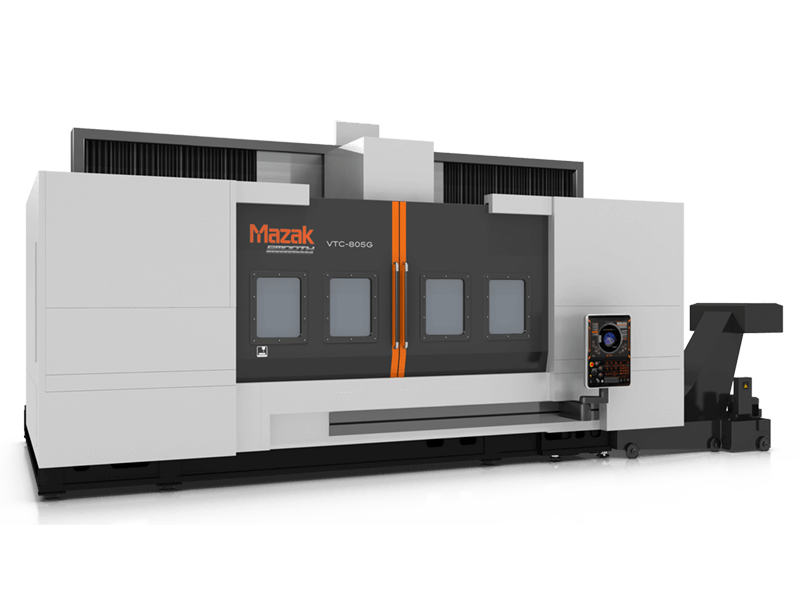 MAZATROL SmoothG CNC easily generates programs for off-centerline machining as well as angled drilling, milling and tapping operations. Several innovative programming, performance and monitoring functions bring optimum speed and accuracy to complex part production.